At least she’s not giving out apples. I….actually have no words for this. Just…just watch. So last night was fairly one-sided (and a little bit embarrasing, to be honest). The moment that sticks out to me, though, is the repeated use of the “Joe the Plumber” lines. How, I wondered, does something like this come out of the mouth of a 30-year Washington veteran who’s wife dresses in $300K suits? 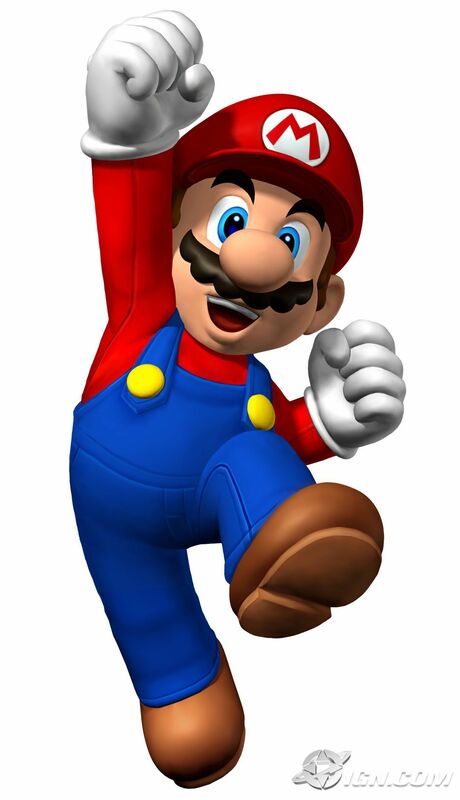 What is the significance of the plumber? 1) Obama is, by all counts, winning handily right now. Obama is also vastly outspending McCain in almost every conceivable state. 2) On Monday, Obama posted a new campaign ad in Paradise City. Never heard of Paradise City? That’s because it’s in a video game. That’s right. 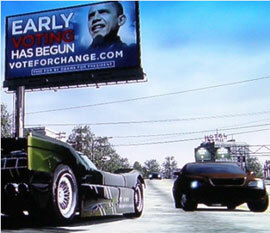 Obama has such an overwhelming amount of money right now that he is advertising in fictional cities that appear in racing video games. As a side note, this is a wonderful validation of my chosen past time…but I digress. 3) McCain wakes from his afternoon nap and hears about this. He must respond! He must relate to this crazy-hipster video game crowd. Now, what would a 93 year old man know about video games? What would the one piece of knowledge be that he might possibly have absorbed through simple pop-culture osmosis? And “Joe the Plumber” is born. Today’s winner for the “I can’t see the forest through all these trees!” award goes to the city of New Orleans for it’s new Truancy Initiative. The city with the highest murder rate per capita in the country is going to focus it’s Sheriff’s on truancy. Maybe they just feel safer patrolling during the day and this gives them a good excuse. I have no category for this, but apparently Bristol Palin is now married? Congratulations? Also, John McCain invented the Blackberry. In related news, I invented pudding.